The village of Erin Mills is an integrated residential, industrial and commercial community. It’s located in the southwest of Mississauga, more specifically south of Streetsville. Erin Mills runs down in length alongside the Credit River; however, the village’s limits end before the river drains into Lake Ontario. Reggae Fusion is a delicious, authentic Jamaican food joint, serving dishes made with rich flavours and spices from the Caribbean. The idea behind Reggae Fusion is to infuse diverse culture with reggae style cooking and get something spectacular. The menu features eggs, made your way, Jamaican style breakfasts, jerk chicken, spare ribs, and various sandwiches & wraps, ranging in price from $5 to $13. 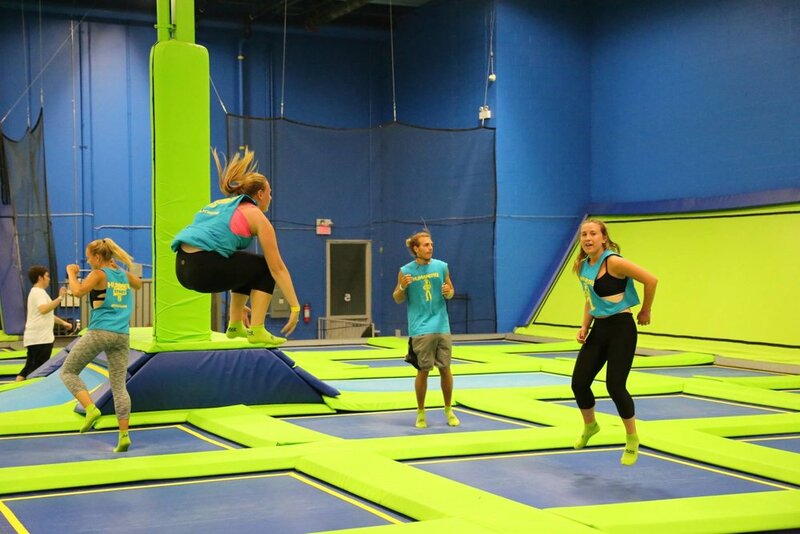 Located on Ridgeway Drive, Air Riderz Trampoline Park is a 26,00 square foot facility of adventure and fun that includes wall-to-wall trampolines, a one-of-a-kind climb zone, dodgeball court and much more. The trampoline park is for people of all ages, providing a great combination of fitness and fun. Birthday parties, fitness classes, corporate events can be all the more fun at Air Riderz. Since 1989, Chicken Land BBQ has been serving up tasty chicken, wings and ribs, complete with all the fixings. It’s a family-owned and operated chicken joint, offering take-out and delivery to your doorstep. The menu here consists of their famous chicken wings, chicken nuggets, BBQ chicken dinners, BBQ back ribs and more. (Prices range from $6.25 to $26.99.) It’s worth mentioning that Monday’s and Tuesday’s are wing nights at Chicken Land. Located near the intersection of Ridgeway Drive and Sladeview Crescent, RockPro Music Centre is not your typical music school. It’s a facility like no other, offering beginner-to-expert instruction for ages 6 and up in guitar, bass, drums, keyboards and vocals. Using cutting edge technology, a superb facility and a novel approach to teaching, RockPro stands out in a league of its own when it comes to music instruction. To catch some fresh air, head over to Tom Chater Memorial Park, located on The Collegeway. This beautiful park is littered with lush, tall trees and greenery, making it a great destination for a scenic walk outside. The park’s features include two playgrounds, a soccer field and multiple softball diamonds.